noted Dilip Jeste, director of the Sam and Rose Stein Institute for Research on Aging at the University of California, San Diego. Current research says otherwise. Stein Institute researchers, along with many other scientists, believe that the future of successful aging will increasingly depend on cognitive and emotional health. Researchers now widely agree that cognitive decline is not an inevitable part of the aging process. New findings offer a striking model of aging as a potential time of brain health and growth. Mental stimulation and creative outlets can provide the opportunity to lead better quality lives filled with more knowledge and wisdom — and an increased capacity to contribute to society. is the message of Dr. Gene Cohen, director of George Washington University’s Center on Aging, Health & Humanities. “The more you do, the more you can do.” The University of Delaware has been a leader in lifelong learning programs that offer mental stimulation, creative outlets and social connections that positively impact quality of life. 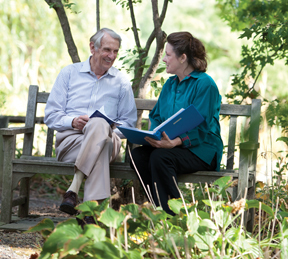 The academic cooperative model encourages age 50 plus members to share their expertise and talents as volunteer instructors and through committees. high-quality, innovative programs, based on scientific evidence. Originally founded in Wilmington in 1980 as the Academy of Lifelong Learning, the nationally known program offers courses on topics as diverse as history, current events, economics, languages, music, science, art and yoga. A Lewes program was established in 1989, and a Dover program began in fall of 2010. In 2010, the University of Delaware received an endowment gift from the Bernard Osher Foundation to expand and support all three programs, which were renamed the Osher Lifelong Learning Institutes at the University of Delaware. 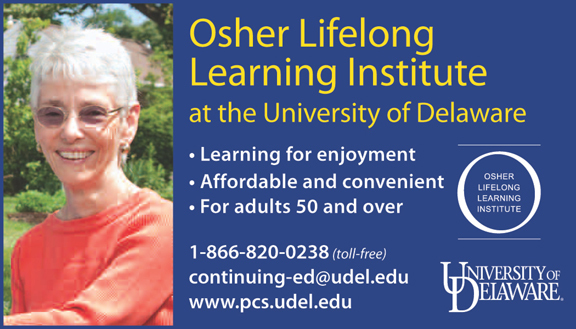 Osher Lifelong Learning programs across the country are characterized by a diverse and intellectually stimulating array of educational offerings in a wide variety of academic disciplines, all without homework or examinations. Nora Riehl Zelluk is the web/communications coordinator for Professional and Continuing Studies at the University of Delaware.